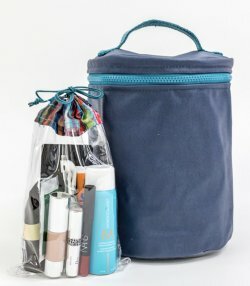 Super cute and great quality shower essential carrier. Comes in two colors, navy and natural. Comes with 5 interior pockets and a separate drawstring bag. The interior is lined with vinyl.